The famous anarchist Emma Goldman wrote this letter to Louise Bryant shortly after the death of John Reed, Bryant’s husband. 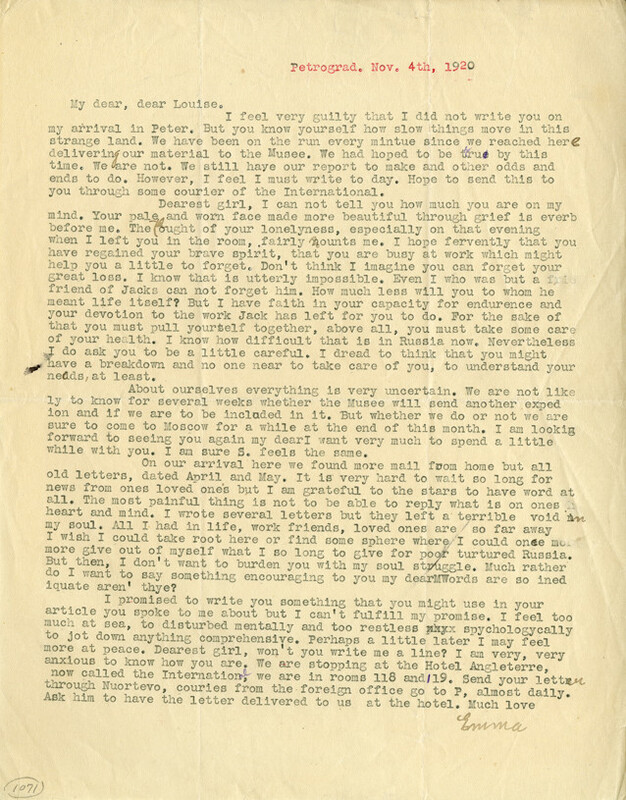 The letter reveals much about Goldman’s state of being ten months after her arrival in Russia following her deportation from the United States: her compassion for Bryant and Reed; her ongoing commitment to anarchist principles of freedom from oppression; her disillusionment with the Bolshevik revolution; and the painful loneliness and isolation of her life in Russia. I am particularly drawn to archives that document dissent, along with those that lay bare personal and honest human experience.